The Green Cone Outdoor Food Digestion System is a completely natural system that reduces your food waste to its natural components of water, carbon dioxide and a small residue. This solar-heated unit takes ALL cooked and uncooked food waste including meat, fish, bones, dairy products, vegetables and fruit. 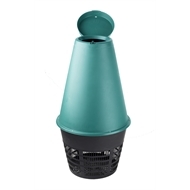 Put all your food waste into your Green Cone, situated in a sunny part of your garden, and forget about it - almost everything disappears! 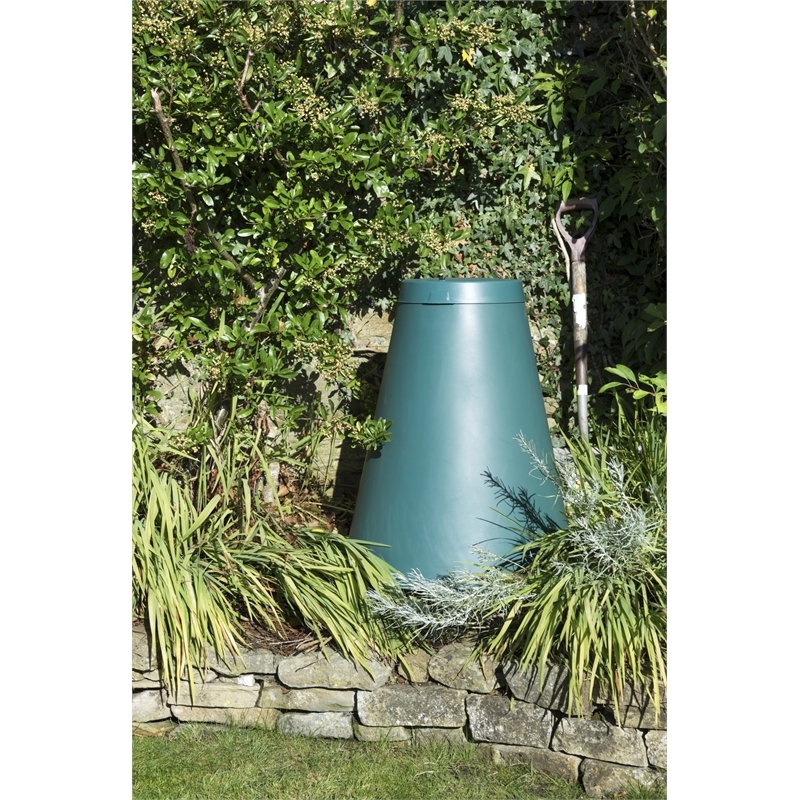 The Green Cone has been designed to break down these materials in a safe way. 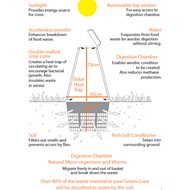 The waste is digested rather than composted and is primarily reduced to water. This nutrient rich water enters the soil under the base of the digestion unit. 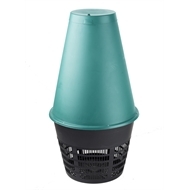 Very little waste residue is produced by a the Green Cone and, unlike traditional composters, there is no need to manually turn the waste. 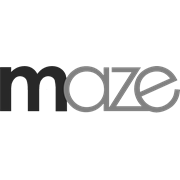 Once set up, the system is essentially maintenance free. 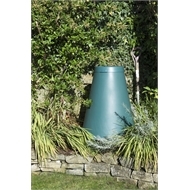 Please note that this unit is not suitable for garden waste such as grass and hedge clippings. 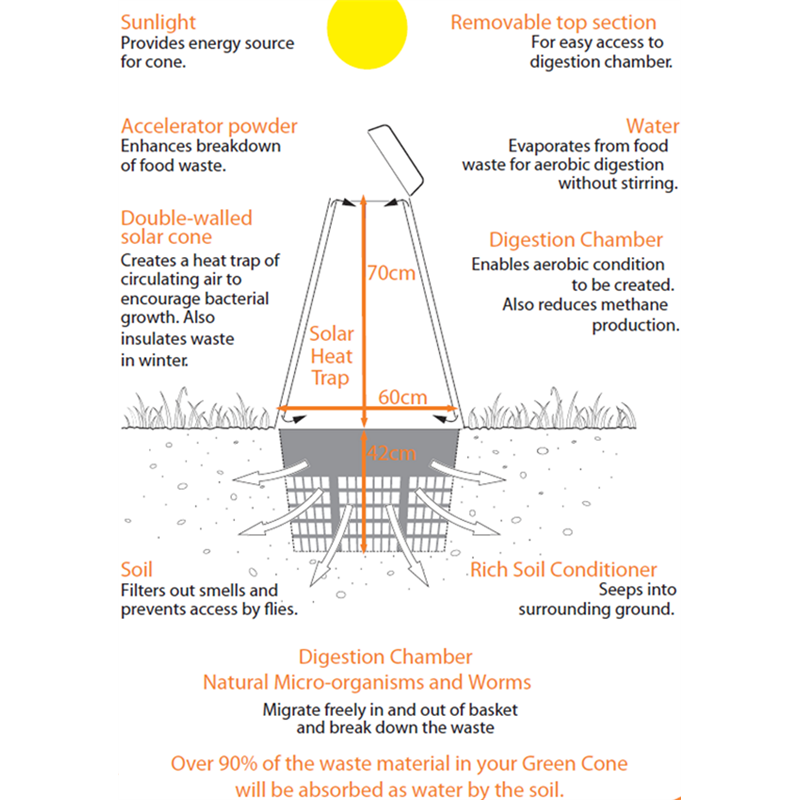 These items should be put into a traditional compost bin or compost tumbler. Used in conjunction with each other you will significantly reduce the amount you are adding to landfill.